Don Pedro Echavarria established the Santa Barbara Estate almost three decades ago with the vision of producing a superior quality Colombian Coffee. This vision is proudly shared by all in the Santa Barbara Estate family. This Estate is one of the few completely integrated coffee farms in Colombia, which ensures traceability and close quality control from seed to cup. A combination of factors such as climate, altitude, constant care, renovation of trees, and good volcanic soil provide the basis for excellent coffee production. Education and incentive programs encourage the workers to focus on quality rather than quantity. The highly technological wet and dry mill processing, coupled with attention to detail and daily cupping, enables the Santa Barbara Estate to deliver an exceptional and consistent high-quality Colombian coffee. Coffee cherry tea is an herbal tea made from the dried berries (or “cherries”) of the coffee plant. It is also known as cascara, from the Spanish cáscara, meaning “husk”. This can be brewed cold or hot. Coffee cherries contain caffeine, as does the tea, though while the tea is popularly understood to have a high level of caffeine, it actually only has about a quarter the caffeine levels of coffee. The taste of coffee cherry tea is different from coffee, and has been described as somewhat sweet and cherry flavored, surprisingly pleasant. 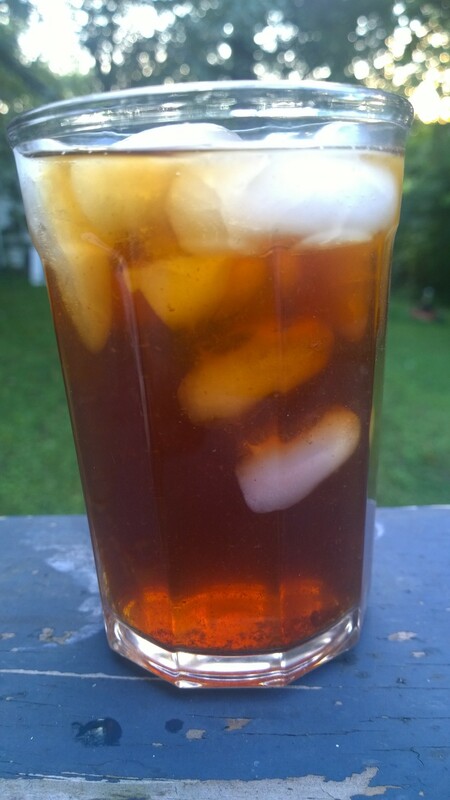 I made a Sun tea made from (Cascara) coffee cherry tea. Really simple to make. Just add 4 ounces Cascara, twelve Cups filtered water in a clear jar and put it outside for the day. It can be filtered after to make it look better but I do not because the Coffee Cherry has a nice amount of Antioxidents in them. Also you can re use the tea a second time with less water. same if you brew it hot in a french press you can brew another smaller batch.